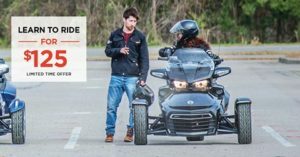 If you’ve ever dreamed of an open road adventure, then the Can-Am Spyder Rider Education Program is your path to reality! Thanks for the heads up Scott! We have updated the post. I sharded the article on my facebook. Thank you again for the good article.